(Newser) – A United States military strike hit a vehicle carrying senior members of an al-Qaida-linked militant group in Somalia today, killing at least two people. An al-Shabab member who gave his name as Abu Mohamed said one of those killed was al-Shabab's top explosives expert, known as Anta. 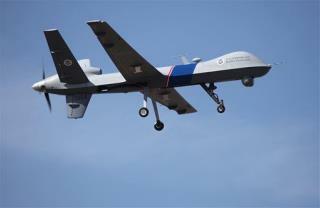 He said a drone was fired at the car in Somalia's Middle Juba region. Eliminating a bomb designer means Al Qaida must now rely on semi-skilled amateurs, who quite often blow themselves up during construction.